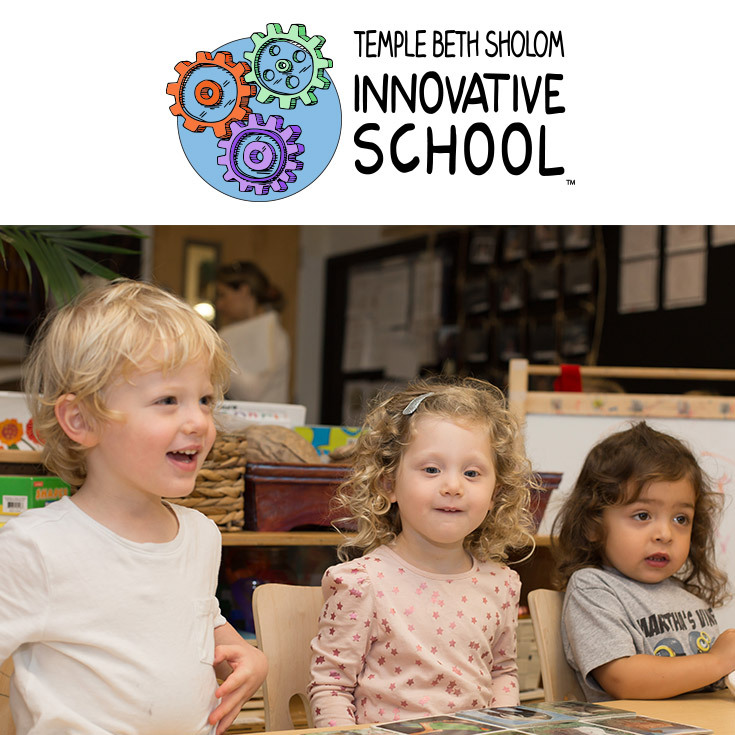 Temple Beth Sholom Innovative School is a welcoming and collaborative environment where listening is key, thinking is visible, communication authentic, and our practice is reflective. As teachers we continually strive to recognize and actualize limitless possibility. Our Jewish roots ground us and influence how we live, supporting our decision making and approaches. Our practice is guided by our belief that children are competent. We are dedicated to strengthening our deep understanding of child development and children’s rights to constructively learn and grow in an environment that nourishes their spiritual, cognitive, social, emotional, and physical development. We are committed to the Jewish value of Tikkun Olam, making the world a better place. The importance of relationships is recognized as a thread that weaves the fabric of our community, creating strong partnerships amongst staff, families and children.